If you're unhappy with your conversion rates and wondering why they're not as high as they could be, there's a chance you're falling foul of one of these five conversion killers. These days, web users are social beings, and many have multiple social media accounts. They are also sick of having to create new accounts and remember multiple logins. If you check your analytics and find most customers are dropping away at the login page, give them the option to sign in and pay using one of their existing social accounts for simpler, more frequent conversions. A call to action (CTA) should be a rallying cry – a few inspiring words coming at the end of a paragraph, page or image that clearly suggests what a customer should do next. The shorter the CTA, the better, but you want to make sure you're being specific too. Think “Buy now”, “Submit online” or “Register here” and make sure your CTA is brightly coloured and well positioned on the page. For some inspiration, check out Econsultancy's 10 best CTAs. 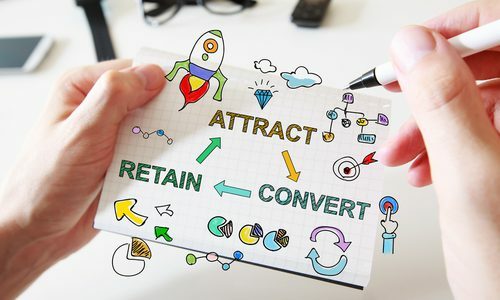 Your email marketing database should be providing you with the perfect opportunity to reconnect with customers who drop off before making a conversion. Ideally, you want a customer relationship management (CRM) system that can automatically send mail-outs to reluctant customers, enticing them to return to their purchases. When was the last time you checked how long it takes your product or sales funnel pages to load? Sometimes, businesses add lots of bells and whistles to their website bit by bit, never stopping to think how they might impact the load time of a page – and this is a very important factor for time-poor shoppers. Clients and customers want to be reassured that no matter what product or service they're about to pay for, they can trust the business supplying it. Include product ratings, testimonials and case studies at several points throughout the sales funnel. Even a small widget in the sidebar with a review or two can be enough to reassure a skittish customer. Check your website and strategy for signs of these common conversion mistakes to improve your sales.